These images were made during two trips that I took to Iraq in 2004 with Portland Press Herald columnist Bill Nemitz. Both times, we were embedded with the 133rd Engineer Battalion of the Maine Army National Guard. All photographs are copyright, Portland Press Herald and Maine Sunday Telegram. 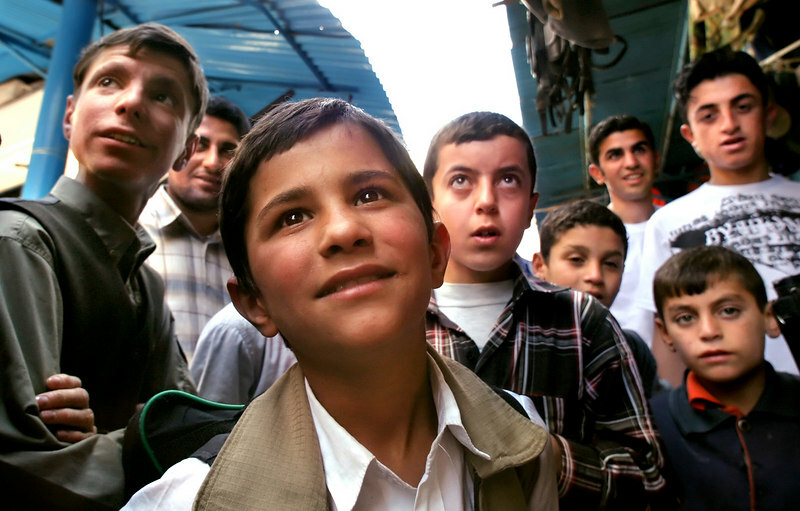 With his command of English, Ricky, center, is the envy of other boys in Dohuk.